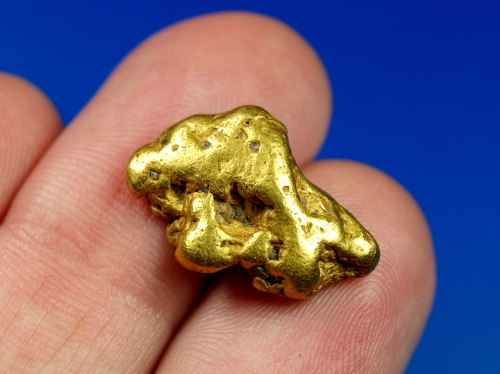 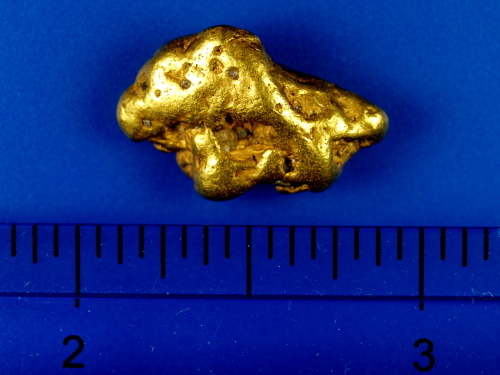 Here is a nice hefty gold nugget from California's Mother Lode! 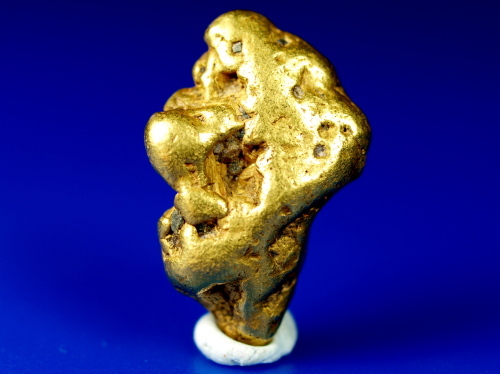 Found in Mariposa County, California, this beautiful water worn nugget will make a fantastic addition to any collection. 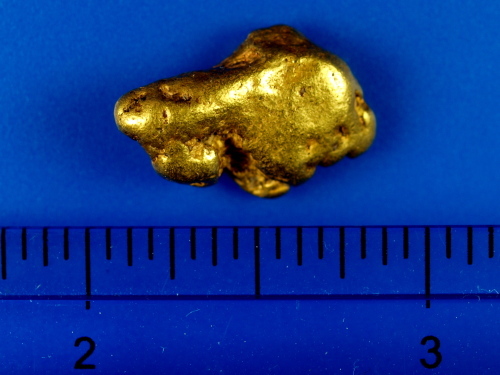 Weighs well over 1/4 ounce, at 8.47 grams. 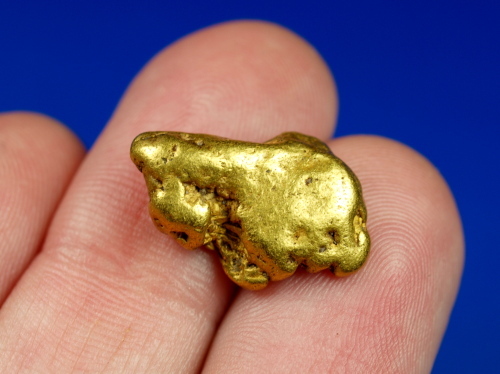 With the 2009 ban on suction dredging in California, large California nuggets are getting harder and harder to find.